A trauma surgeon at University Medical Center said he noticed immediately that wounds were made by a high-powered weapon. 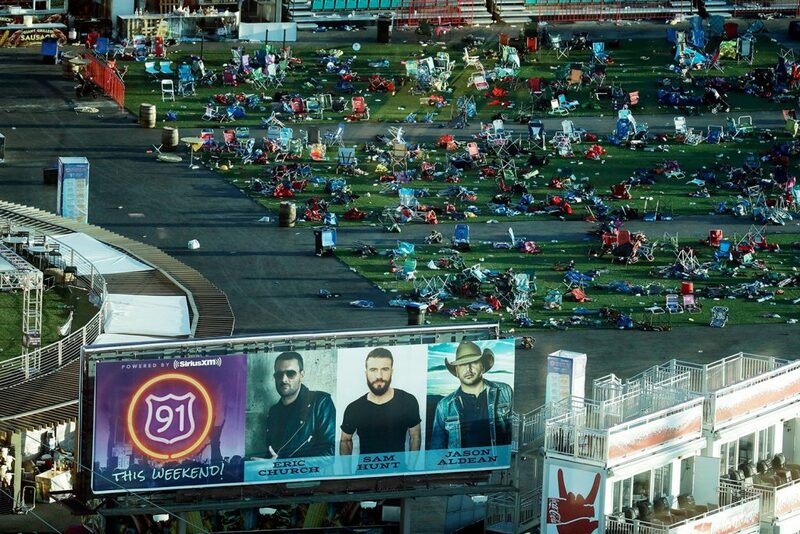 LAS VEGAS — The victims just kept coming. In cars, in ambulances waiting four or five deep, from the walking wounded to the barely alive, they arrived in droves. 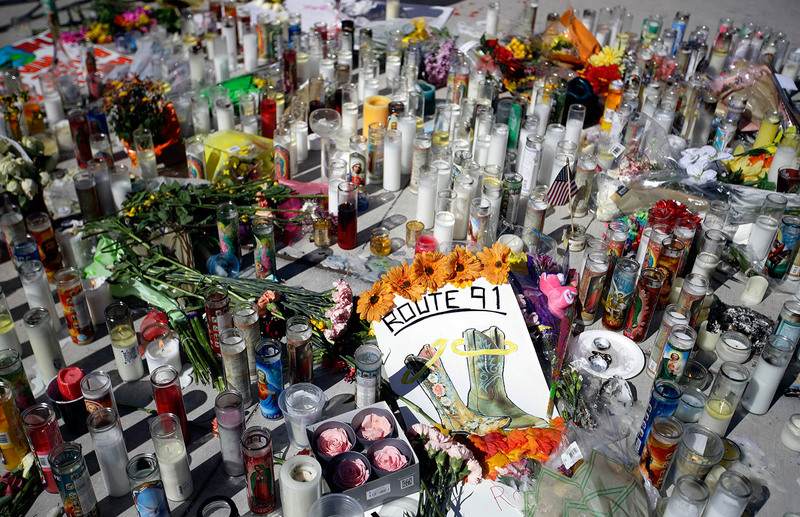 It was the deadliest mass shooting in modern U.S. history, with at least 59 killed and 527 injured, some by gunfire, some during the chaotic escape. Scores remained in critical condition Tuesday. He said the huge, horrifying wounds on his operating table told him this shooting was something different. The gunman, 64-year-old high-stakes gambler and retired accountant Stephen Paddock, killed himself as authorities stormed his hotel room at the Mandalay Bay hotel casino. He had 23 guns — some with scopes — in the room where he had been staying since Thursday. He knocked out two windows to create sniper’s perches he used to rain rapid fire down on the crowd of 22,000 people some 500 yards away. He also had two “bump stocks” that can be used to modify weapons to fire continuously, as if fully automatic, according to two U.S. officials briefed by law enforcement who spoke on condition of anonymity because the investigation is still unfolding. While Paddock appeared to have no criminal history, his father was a bank robber who was on the FBI’s most-wanted list in the 1960s. His muzzle flashes visible in the dark, Paddock began shooting just after 10 p.m. and appeared to fire unhindered for more than 10 minutes, according to radio traffic, as police frantically tried to locate him. 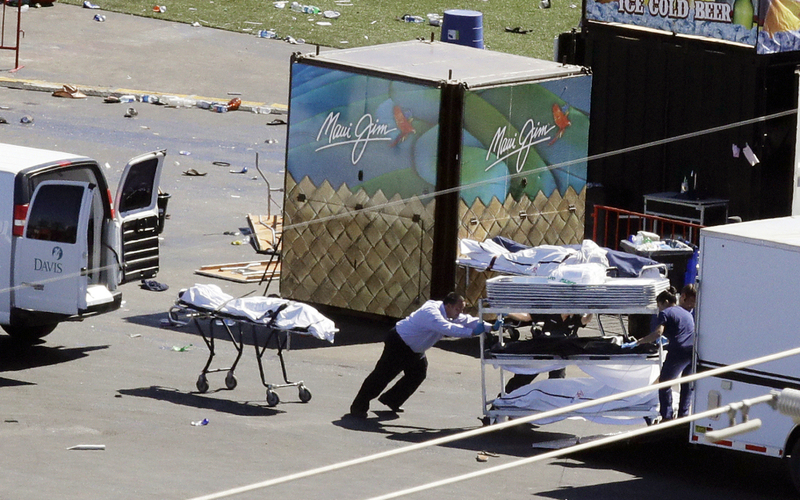 “It was chaos — people just running for their lives. People trying to get down. Trying to get to their loved ones that had gotten hit,” Shaun Topper said. Marie Langer, 16, of Las Vegas, got to the concert early so she could get to the very front, closest to the stage. Tales of heroism and compassion emerged: One man grasped the hand of a dying stranger, unable to pull himself away despite the danger. Another borrowed a flannel shirt from a man he didn’t know to create a tourniquet for a girl he didn’t know. Authorities put out a call for blood donations and set up a hotline to report missing people and speed the identification of the dead and wounded. They also opened a “family reunification center” for people to find loved ones. Sally Ho, Regina Garcia Cano and Brian Skoloff in Las Vegas; Brian Melley and Andrew Dalton in Los Angeles; Sadie Gurman and Tami Abdollah in Washington; Kristin M. Hall in Nashville, Tennessee; and Jocelyn Gecker in San Francisco contributed to this report.